T&D data loggers are specially designed to meet a customer’s demand of anytime and anywhere access to data. 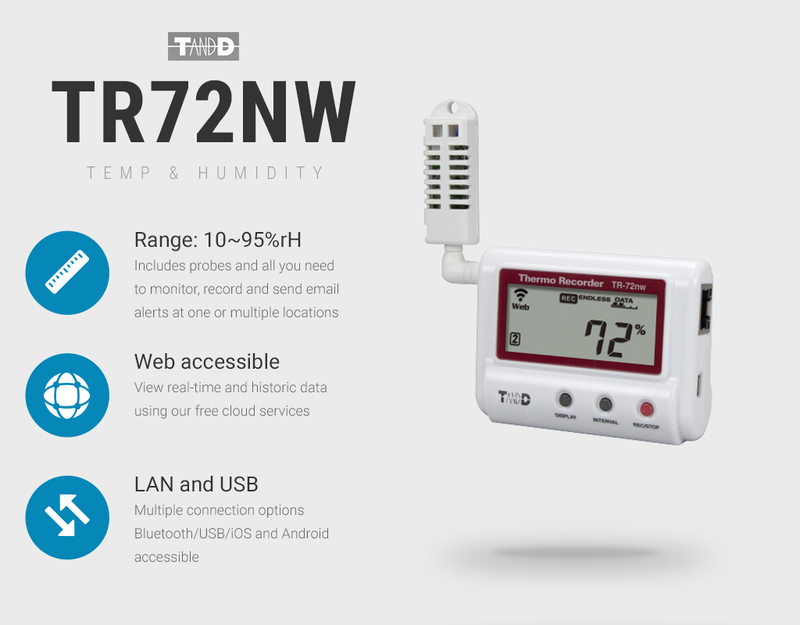 Their temperature, humidity, Co2, voltage and current data loggers are based on wireless communication, GSM, LAN, Wi-Fi and USB connectivity and free cloud based analysis utilities, such as the cloud storage service ‘T&D WebStorage Service’. 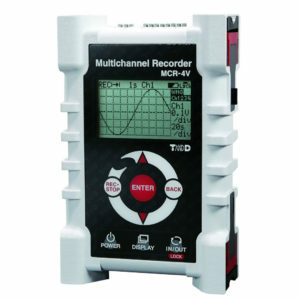 View a selection of T&D data loggers and purchase at Loggershop here! 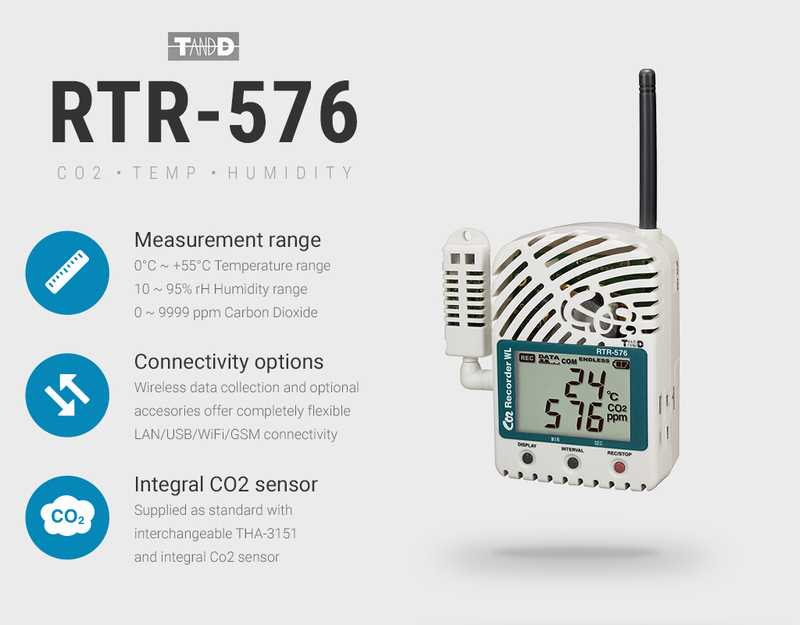 Temperature, humidity, voltage, current, pulse, Co2 and illuminance data loggers. 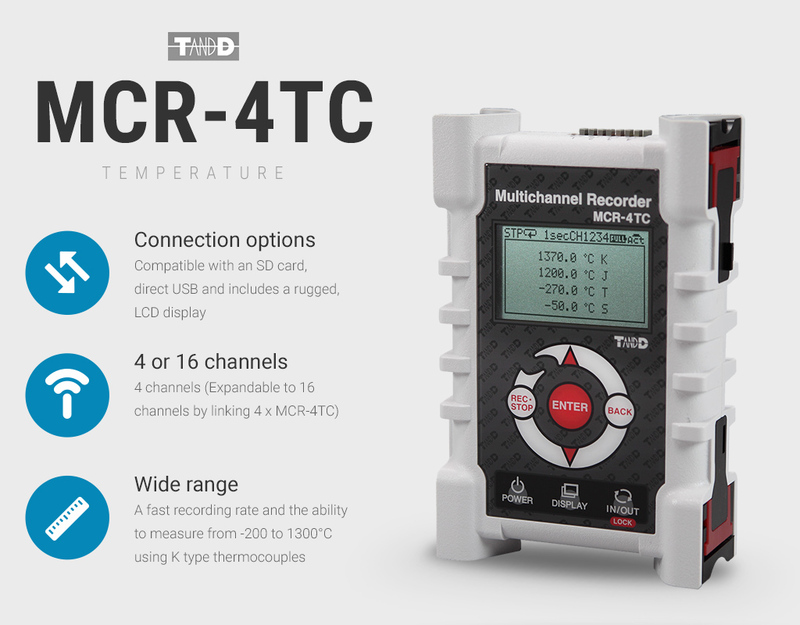 T&D 4 channel data loggers are a cost-effective solution to recording data measured by multiple temperature sensors or voltage inputs. The intelligent LCD display enables instant analysis and data can be extracted easily with the SD card and USB port. The unique daisy chain network function also enables four T&D data loggers to be connected and deliver 16 channels of data. 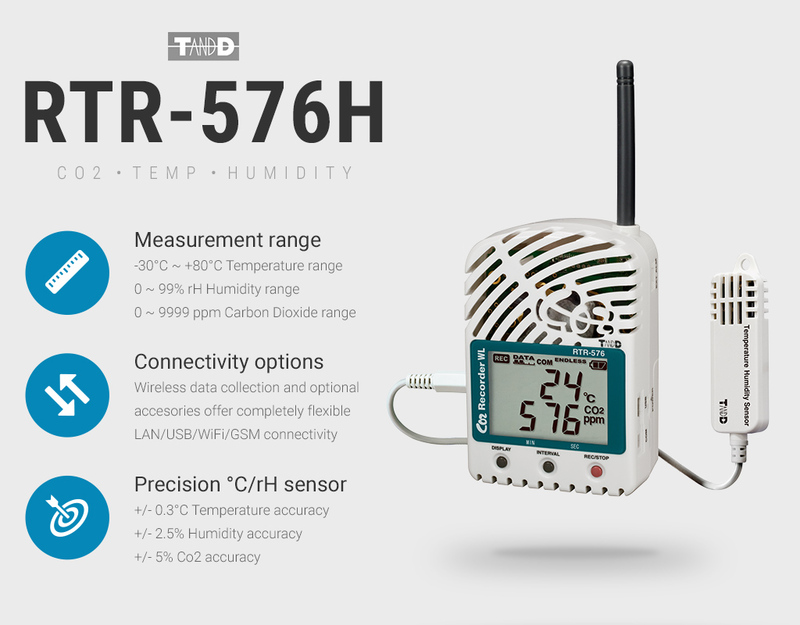 Use T&D network data loggers to send humidity and temperature data to a computer network via WiFi and LAN. The data is then kept in the free internet cloud or PC archive, for analysis with iOS and Android mobile applications. Optional accessories for the T&D data logger products to aid with installation and monitoring. 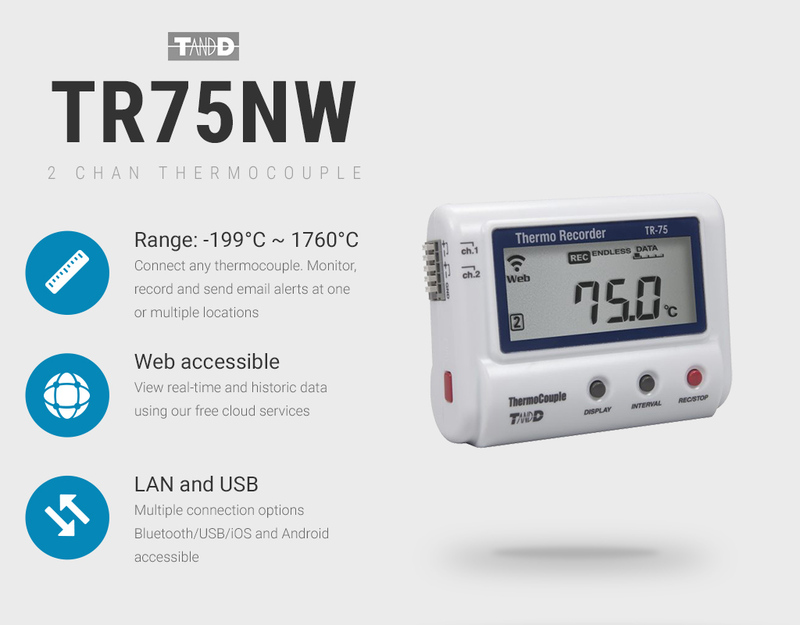 Cloud compatible T&D data loggers can utilise the free of charge web storage service, and T&D iOS and Android data loggers can use the free apps. All data loggers are supplied with free installable utilities to perform configuration, data retrieval and analysis functions.